The incident happened at the Gombak exit yesterday, 17 September. 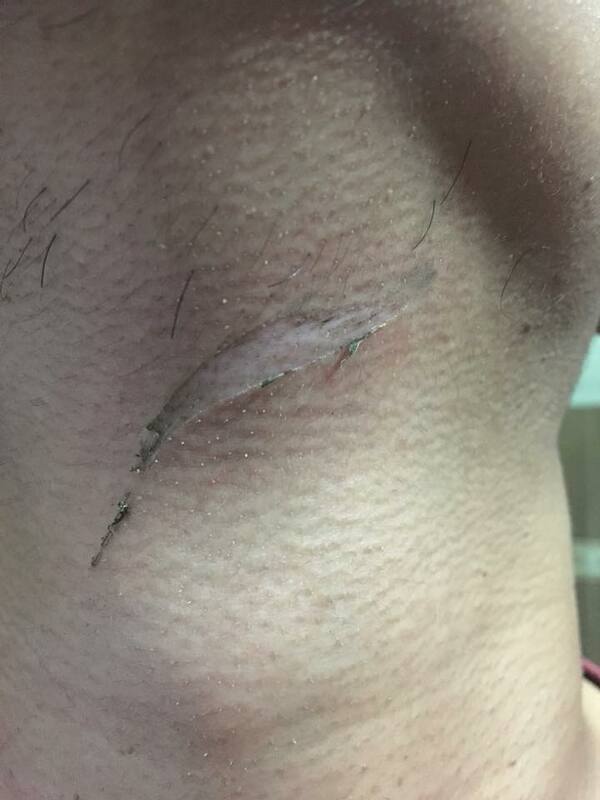 The cut caused by fishing lines. 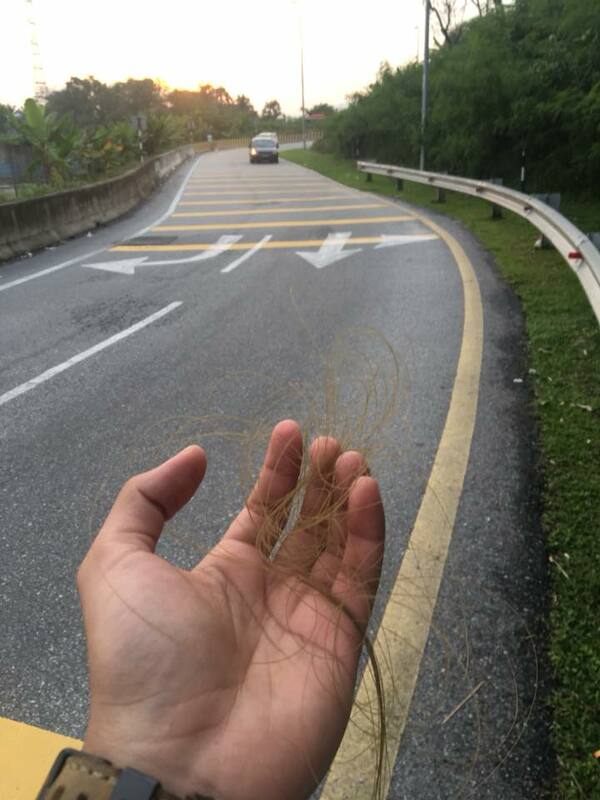 The motorcyclist recounted in a Facebook post that the fishing lines were hung mid-air at the exit before turning into Taman Rowther and Taman Koperasi Polis 1 in Gombak. At the time of writing, the post has garnered over 20,000 shares in 14 hours. He added that he was riding his motorcycle slowly when the incident happened. "Imagine if someone who didn't wear his helmet was riding (his motorcycle) faster, wouldn't his neck be dislocated?" the victim wrote. 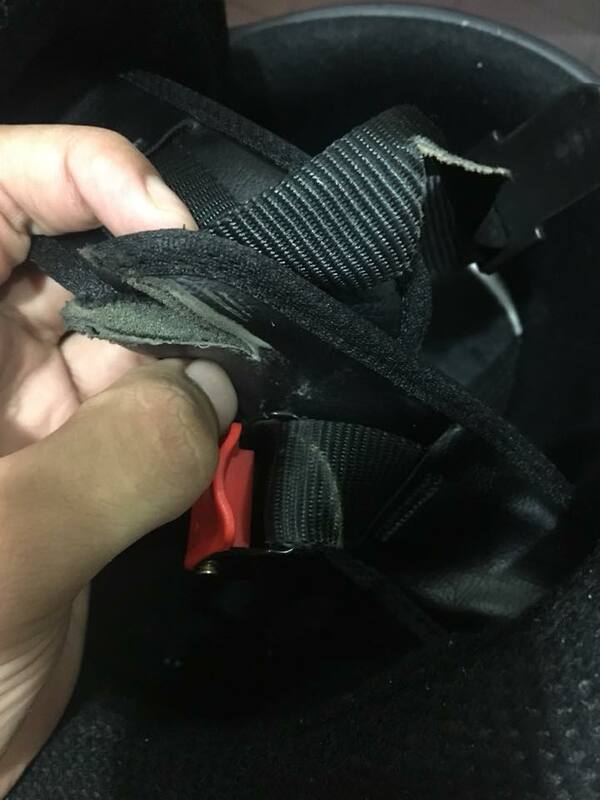 "Usually, people use this (fishing lines) to rob motorcyclists who ride through the (motorcyclists') lane at tolls," the victim wrote. According to him, motorcyclists often avoid riding through tolls at night for this reason. He also warned other residents of Gombak to be aware of the DUKE exit. "(This is a) reminder to all residents of Gombak to be careful of this area, especially at night," the victim wrote. He continued with his antics despite being honked by drivers. He was arrested for allegedly outraging the modesty of a woman. A humbling reminder on Malaysia Day.